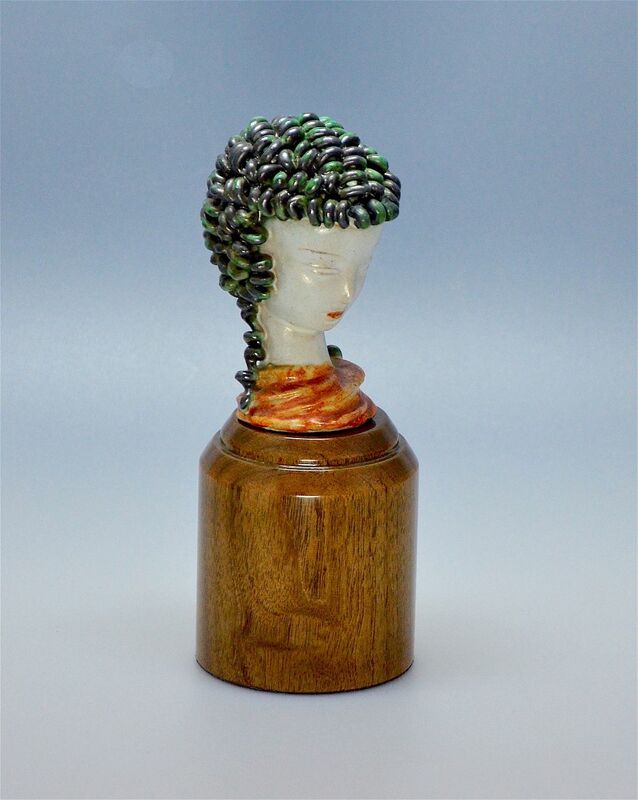 This fabulous iconic small bust is by the Austrian company Goldscheider. 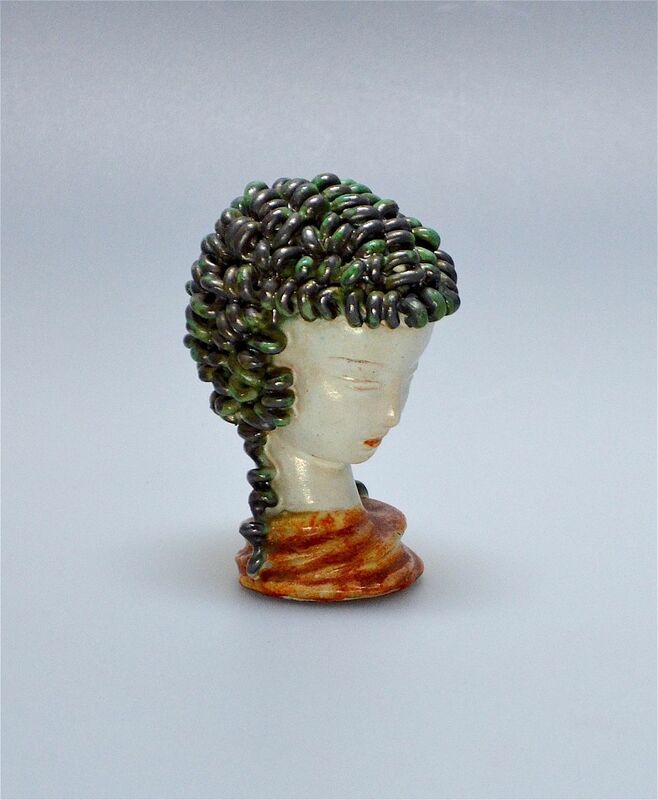 Made during the period 1925 - 37 she has the signature Godscheider corkscrew ringlets in green and black. Her face and neck are an ivory colour, she has orange lips and is looking downwards in a demure manner. Her ringlets extend onto the orange draped neckline. 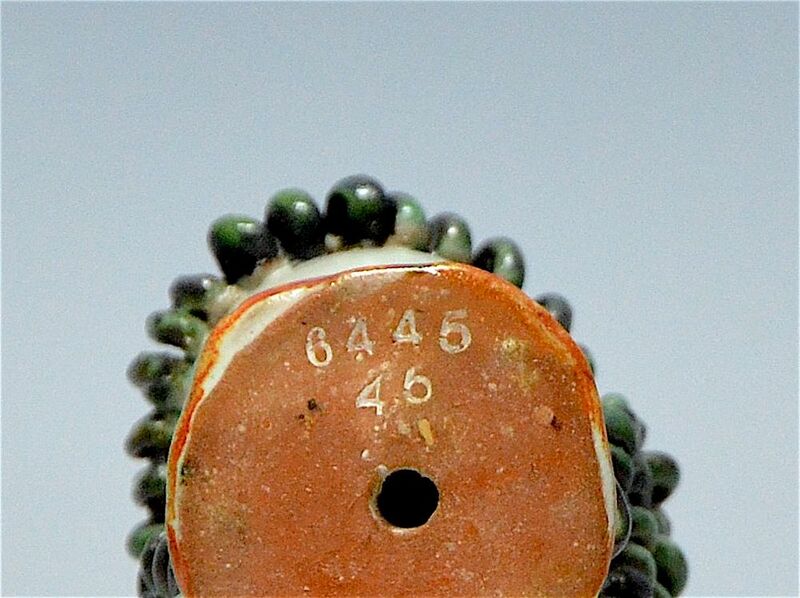 The base is incised "64456 46". The bust is free standing but we have had a wooden plinth made which raises her up so that you can see her face. We no longer buy many ceramics but could not resist this lovely piece.